The Eggstravaganza is a time of fun and fellowship held each year on Palm Sunday after the 11:00 worship service. Activities include a snack lunch followed by a dramatic telling of the Easter Story. 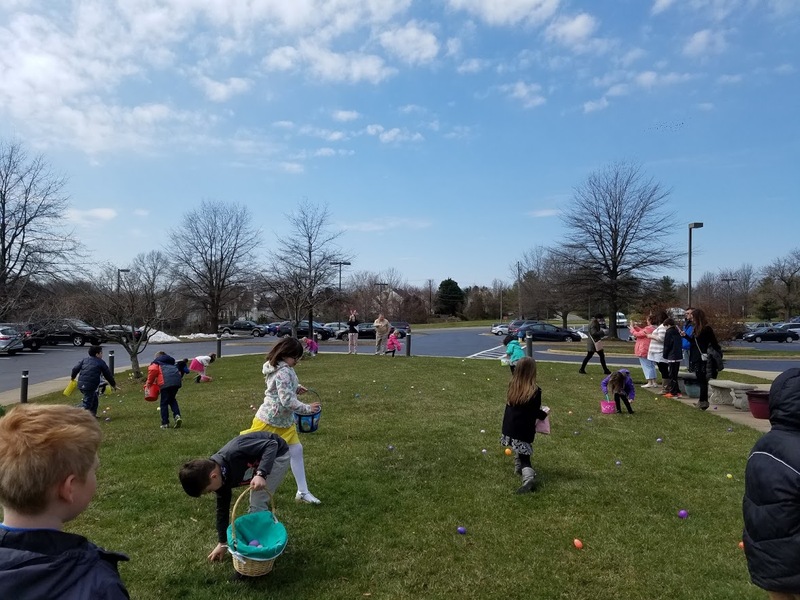 An Easter Egg Hunt for younger children through 2nd grade, and a Scavenger Hunt for older children in 3rd-5th grades round out the festivities. To Register for VBS click the image above! Vacation Bible School (VBS) is one of the highlights of our Children’s Ministry year! At VBS children ages 3 through 5th grade will discover God through a variety of adventures like crafts, recreation, music and scripture. VBS is typically scheduled in July and registration begins on Easter Sunday each year, with a registration deadline in late June. Birthday Party for Jesus An event held on a Sunday morning in Dec, before Christmas. Special activities include crafts, games, music and birthday cake. This past year, Santa came and shared a special story about the birth of Jesus with us!